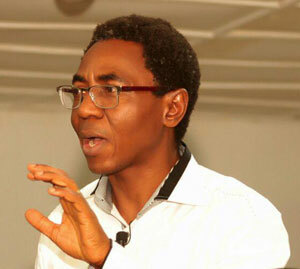 Oladotun Reju is the founder and Chief Resource Person of the Center for Transformational Leadership, Jos City Nigeria. He was trained as a banker and has been in pastoral and teaching vocation for 19 years. “Dot” is the founding Pastor of The Kingdom Citizens’ Pavilion Ministry, a multi-faceted local congregation based in Jos. The Church community serves the city in areas of education through the Kingdom Citizens International School and Kingdom Citizens College, social- political and economic empowerment through the Patris Empowerment Initiative, a Social-Political Action group for the promotion of responsible Governance and citizenship in Nigeria. Dot mentors Christian Artists by resourcing them to develop capacity to deploy the Arts for transformational purposes; the flagship of the Arts Initiative is the “Jos City Gatekeepers Band” and “M4Creation” Studios. He holds a Bachelor of Science degree in Sociology from University of Lagos, a Master of Arts in Christian Leadership from The West African Theological Seminary, Lagos and a Doctor of Ministry in Transformational Leadership for the Global City from Bakke Graduate University, Seattle, WA. Dr. Reju currently serve on the Board of Regents of Bakke Graduate University and has been stewarding the Theology of Work Grant Program for the US-based Mustard Seed Foundation for five years. The purpose of this dissertation is to research how the church has responded to the perennial ethno-religious crisis that has engulfed the city of Jos, the capital of the Plateau State of Nigeria and its environs and possible approaches to respond and their theological implications. The study will seek to explore how the church can deploy its overwhelming presence in the region as a tool for positive influence in order to achieve the much needed peace and reconciliation. The dissertation also hopes to proffer theological perspective for peace in a multiethnic and multi-religious context. This work will eventually become the design for The Centre for Transformational Leadership, which will provide resources for training and also engage in interfaith and other activities geared towards reconciliation in Jos City and its environs.